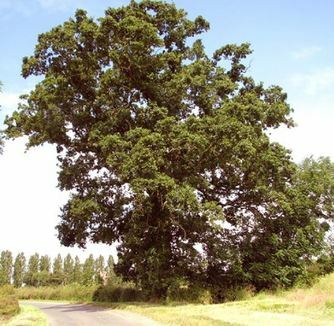 High winds can cause considerable storm damage to trees, even uprooting large specimens if conditions are particularly unfavourable. Horsham Tree Surgeons can help by dismantling and removing uprooted trees and cutting damaged branches. We do everything we can to reshape your trees and help them survive whenever possible. Storm Katie hit the South East of England pretty hard on 27th March 2016 and caused quite a bit of damage to trees and also to fencing. Beech trees seem to have been particularly damaged by strong winds, but we've also seen oak, ash, birch and fruit trees suffer, amongst others. Whenever a big storm hits, we can help to sort out any tree problems, remove fallen trees or branches and mend damaged fences. Many household insurance policies will cover buildings if trees come down. But most don't cover damage to your landscaping, fences and gates, which can involve a considerable expense to replace. Check your policy to find out what it covers, but one of the best ways to prevent damage is to have your trees regularly inspected by a qualified tree surgeon. 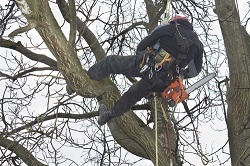 We can keep your trees in good order to minimise the risks of fallen branches or uprooted trees. Think of regular tree maintenance as a life insurance policy for your trees!